This makes me hopeful that waiting for our reunion is not going to be as dreadfully long as I would imagine. I was waiting for a special sign on the occasion of the anniversary, and, as always these days, my thoughts manifested themselves into my reality. I was taking shower losing myself in thoughts, rewinding the memories of the day, the ceremony at your grave, and then back to the day a year ago, when you suddenly appeared in my thoughts so strongly and how it then turned out to be the time of your passing. As I opened my eyes from these steamy reveries I was dumbfounded by the image that I saw in front of me – the bath curtain bent into folds forming an absolutely accurate outline of your face! There were your small uzbek eyes, the chubby nose, the lips with the mild and comforting smile upon them and even the small scar on your right cheek that I so adore. It was so accurate, that it felt as if you were standing right behind the curtain and it was mimicking the contours of your face pressed against it. I was afraid to touch it, so that it wouldn’t get distorted and lost and so I stood there talking to you for a while about how I missed you and how I was looking forward to your next visitation in my dream and how I was thankful for always staying around me and reassuring me of your continuous presence. 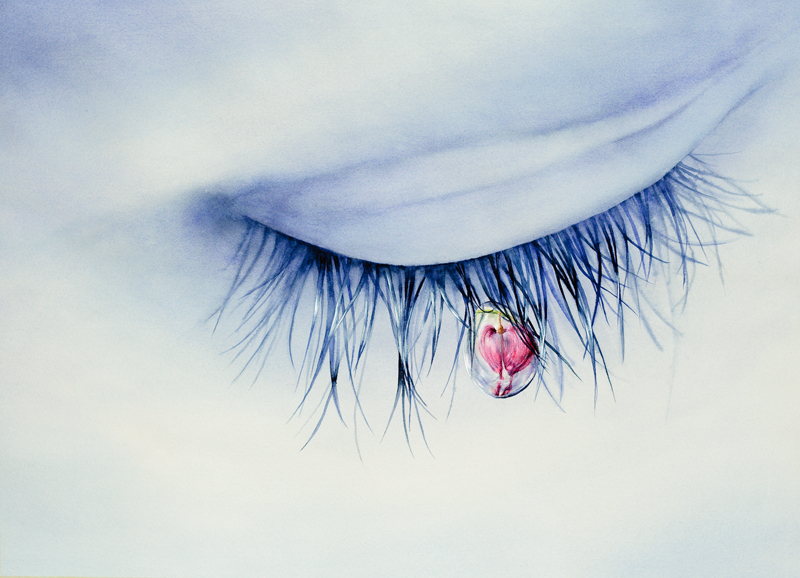 Suddenly a teardrop appeared right under the spot of your right eye ready to fall. Did I make you sad, or was it tears of happiness, do spirits cry at all? Or maybe you wanted to show me that seeing me so painstruck and restless was making you sad. So I immediately wiped my tears and went into the positive mode, appreciating this wonderful visitation and reiterating my strong intention to find you wherever you are and however long it might take. Hi Ona! Thank you for pointing this out and I never meant to claim any ownership of the media used on the blog. I am just googling inages and sometimes it’s not even possible to track the original author. I’m happy to give the credit and will try to do so for all future media as much as possible. This is an amazing work by the way and I loved your other works too! My best regards and much love!